The month of Ramadan brings with it countless blessings and is a time of sharing. As part of Habib University’s endeavour to provide quality education to all students regardless of background, the Zakat Campaign for 2018 was initiated. The zakat campaign provides Habib University a chance to engage with existing and potential donors and share with them the benefits of investing towards higher education and the remarkable work being done at Habib University to provide students from all economic backgrounds a chance to receive quality world-class higher education. In order to propagate the message of giving, an iftaar/dinner was held at the residence of Ms. Zahida Habib, a member of the HU Board of Directors, on May 20, 2018. An intimate gathering of civil leaders, philanthropists, and community stalwarts gathered to celebrate the occasion. Notable attendees to the event included Mr. Khalid Mahmood (MD & CEO, Getz Pharma), Dr. Ishrat Husain (former Dean & Director at IBA), Mr. Shahbaz Y. Malik (MD, Hilton Pharma), Mr. Towfiq Chinoy (Advisor, International Industries Limited), Mr & Mrs. Shahid Soorty (Owners, Soorty Enterprise), Ms. Ameena Saiyid (Chair, Oxford University Press) and Mr. Mohomed Bashir (Chairman, Gul Ahmed Textile Mills Limited), and others. Mohsineen of Habib University shared their reasons towards supporting Habib University and their belief regarding the necessary aspects of allowing a child to achieve so much more, for both themselves and the country of Pakistan, once the financial obstacles are removed to gaining quality and purposeful education. As the clock wound down to iftaar time, the guests used the opportunity to mingle and exchange pleasantries. 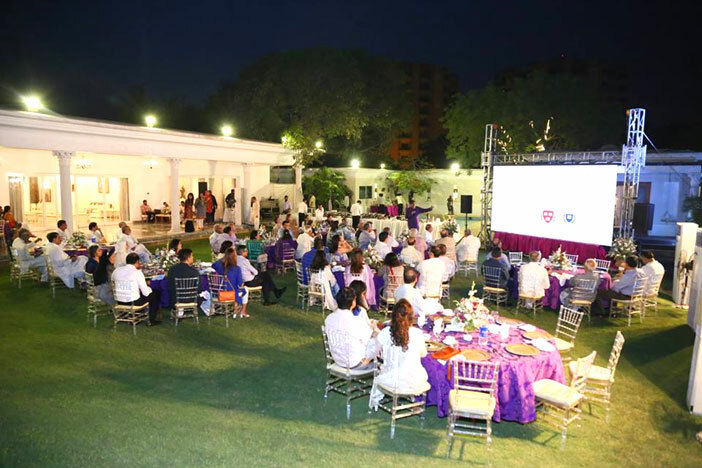 Following iftaar, President Wasif A Rizvi shared a short presentation and engaged with the guests to encourage them to take up the cause and support higher education in Pakistan through supporting Habib University. Drawing on the commonalities between different faiths, President Rizvi’s presentation highlighted how there was a long tradition of universities being funded through the generosity of individuals. He expressed to those gathered that the primary aim for Habib University was providing a long term solution to the endemic issue of access to higher education for the youth of the nation. The country has immense potential and the key to the nations success is harbouring empathy and engaging in community building.